Dan Susman and Andrew Monbouquette, both class of ’06, are currently working on a documentary film about urban farming in America, called Growing Cities. This summer they will visit city-dwellers across the U.S. who are addressing issues of human and environmental health, food security, and urban decay by growing food in their communities. Their film will re-imagine what is possible in urban settings and inspire Omahans and all Americans to create growing cities of their own — places that are healthier, more sustainable, and socially just. 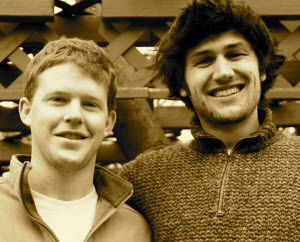 Dan recently graduated from Dartmouth College, while Andrew graduated from Willamette University.